Can an "Internet only" bank work? or ….. Can a branchless bank work? Great thought provoking discussion going on in the comments, that made me realise it warrants deeper analysis. Except for eBank (run by President Taiichi Matsuo, former LTCB) all other Internet banks had strong parents with deep pockets to establish the online brand or leverage the existing brand (Sony). Although these banks are definitely not modeled after a phone bank, they are marketed strongly in the offline world. And eBank is marketed and operates more like a Paypal. James started it off here, and the title outlines the context. First of all, it became clear that none of us necessarily meant ‘internet only’ but rather branchless. Telephone is still required, as are people to answer emails. So lets look at what we have so far to clarify the debate. Back to the original question asked, and the subtext behind it: can an Internet-only bank work? My view is there is nothing in the present loss making of Egg that suggests it can’t. Seems everyone is losing on bad loans at the moment, and it appears that’s happening regardless of the channel mix of the bank. Egg operate an internet bank in the UK. 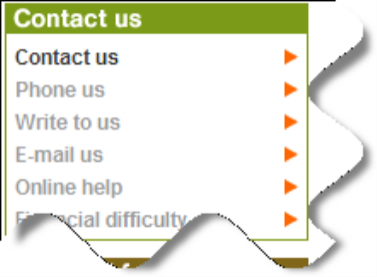 Their contact methods are the usual, and are obviously more than internet, including mail, email, phone, as well as web. So perhaps the better question is whether a branchless bank can work? 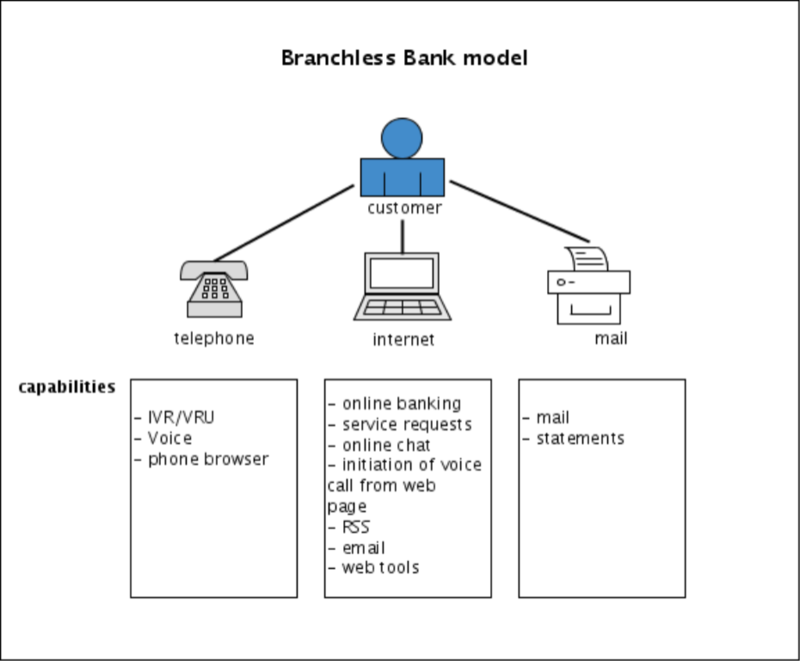 So what are the elements available for customer interaction in a branchless bank? And zeroing in on the internet capabilities, we get these broad functions. #3, and #4 are the only non-asynchronous conversations. The others are all asynchronous. Stating the blindingly obvious, there is a heavy weighting towards the impersonal. Even Gen Y require personal contact at some points in their financial lives. Going back to the comments David was making, speaking of the offline connections, its my belief that those connections are designed to fill the gap that a branchless operation has. Talking about ING, I recall when they started in Canada, circa 1997, the lack of physical presence drive them to open coffee/ meeting/ library type facilities at their Scarborough office initially, and others thereafter. This probably fulfills several elements of humanistic need, all the way from physical presence visibility, to actually visiting those locations. I am thinking few customers ever went in, but most knew they could. 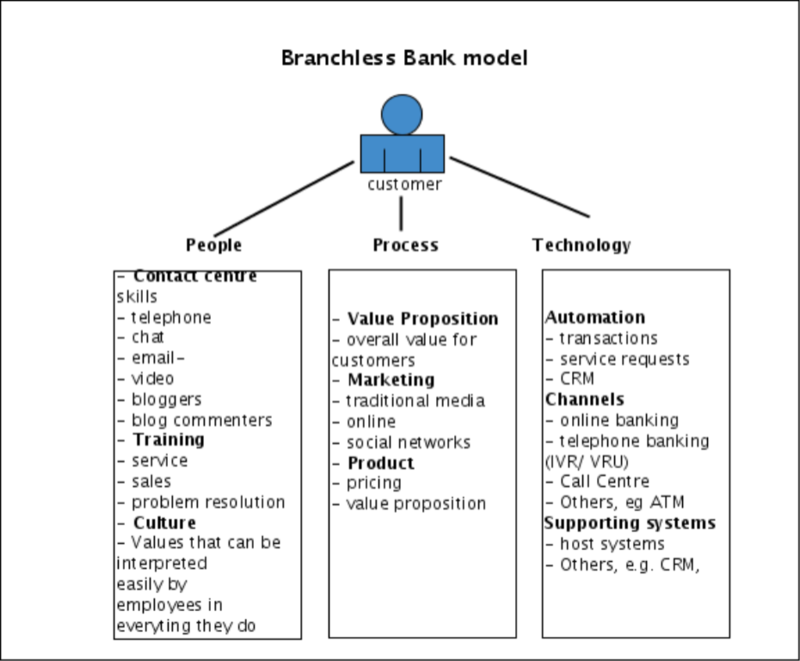 So lets expand the strategic elements of the branchless bank, using a simple people, process, technology model. Its not my intention to be complete here …. rather to provide some granularity of examples that serve to illustrate the nature of considerations when building a branchless bank that will succeed. So why did ING succeed where other internet bank efforts in the late 90’s failed. People: most probably got this part right, or close to it within the internet bank organisation. Where it fell down, was the relationship between the traditional branch bankers, and the internet bankers which was competitive, and its always a bad idea to fight over your own customers. Process: this is a broad category, but gaps show up here. The overall value proposition, usually things like, convenience, ‘bank on your time’, etc, are really euphemisms to cover the reality that their is only a self service interaction available. So the there are gaps in the “what’s in it for the customer”. It felt like the benefit was for the bank. Product design was a gap. ING are brilliant at developing a simple product that sells itself. A traditional banking product that has a history of personnel support and explanation does not translate into a self service interaction. Offline marketing. ING have consistently stuck with this year in and year out. I would categorise the early bank ‘internet bank’ efforts as campaigns, with little follow through. Technology: enormous gaps. In simple terms, self service serves to make Banks’ people and processes transparent. Lack of automation cannot be hidden, and attempts to do so, will result in customer dissatisfaction. Again ING, at least in Canada, did not have the excuse of legacy systems, went out an invested in Sanchez systems, and their technology, process, and people elements were gradually built out in balanced fashion. An internet bank is probably a non starter today for the big banks, due to gaps in process and technology. 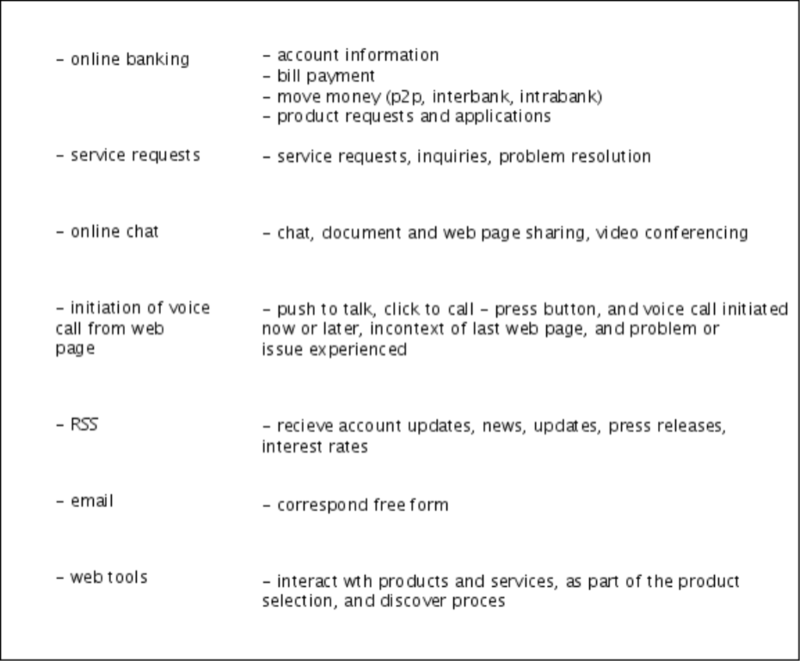 Its necessary to maintain branches so that employees can serve as the missing middleware between customers and the bank. A more likely scenario is a gradual evolution, that will alter the role of branches over time. Bank’s would do well to keep all three elements in mind as they build out self service. Every bank has the conversation about how to get more customers using online banking. This is the wrong question. A better question might be to consider why many customers are not using online banking? Where are the gaps? overall strategy needs to be clear from the outset. There must be clarity, and simplicity of vision, so that every employee gets it, and this will reflect in clear, successful customer conversations, and interactions. This became more of a ramble than I expected when I started. My greatest fear came true as I started to go to detailed, but rather than change it now, I will leave it there, and emphasise my intention was not to be complete in the details, rather for the details shown to be illustrative of the nature of issues I think are important to consider. A couple of observations from an Australian POV. There are two banks that are moving aggressively in the branchless area here – ING and the local subsidiary of the UK bank HBOS (locally, BankWest). Both are doing well – from very different start points. ING, starting from almost nothing several years ago, have made big strides off the back of two things – a great advertising campaign (featuring Billy Connolly) and very aggressive pricing of the deposit products. I do not know what sort of profit they are making on this product, but the margins must be low as they are pricing it close to base rates. BankWest is also doing well – but I am limited in what I can say here for other reasons. BankWest has a strong branch presence in Western Australia, reflecting its roots, but the strategy to move into the rest of the market is largely branchless. Again, the main driver is the aggressive pricing of the deposit products, occasionally even beating the ING rates. Essentially, this business model is working nicely – provided you can demonstrate the value to the (potential) customer. As you cannot compete on service, price must be the driver. As a note on the post itself – two of the pictures appear to be missing.